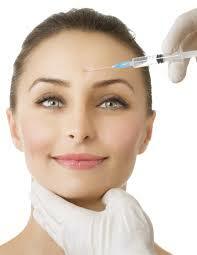 BOTOX® is the brand name for Botulinum Toxin Type A. This is a protein made in the laboratory from the toxin of a bacterium called Clostridium Botulinum. The toxin is a potent poison. The protein is not. During the manufacturing process, the toxin is diluted, processed and purified. The resulting protein is absorbed completely by the muscles into which it is injected. The body does not absorb the protein… and this is why BOTOX® is so safe. Because it is not absorbed, BOTOX® does not affect the body, only the muscles into which it is injected. After 3 to 6 months, BOTOX® disappears from the body without leaving a trace. BOTOX® is injected into muscles of the face to partially relax specific muscles and temporarily lessens the appearance of certain wrinkles that are caused by these muscles. BOTOX® has been used for this purpose for the past 15 years all over the world. The wrinkles that are due to muscle contraction (such as frowning or raising the eyebrows in surprise) are called dynamic or expressive wrinkles. These are the wrinkles that soften with BOTOX® treatment. Which wrinkles can BOTOX® soften? the vertical “11” lines between the eyebrows that appear when we frown. Is that all that it can do? No. contour the position of the eyebrows via strategically placed injections. In this way he can create a pleasing arch, even out asymmetric eyebrows or give a “chemical eyelift” – raising the eyebrows and opening up the eyes. soften the “bunny lines” that appear on the sides of the nose when, during a smile, one crinkles the nose. decrease the droop of the tip of the nose in some people when they speak. BOTOX® is one of the safest medications we know and it has the backing of the FDA. It is also one of the most tested and studied drugs in medicine. Millions of procedures have been performed worldwide and serious side effects are unheard of. In the United States alone, 3.5 million injections are performed each year. There are no long term or permanent side effects and this fact has been established through extensive research. Rare temporary side effects include: bruising, redness at the injection site, headache or flu-like symptoms. Am I going to be numb after BOTOX®? No. BOTOX® weakens muscles temporarily, but has no effect on the nerves that control sensation. Is there anything that has to be done after treatment? We recommend that you make an effort to move the injected muscles for the next hour more than usual. You should be making exaggerated facial expressions for that time. This will help more of the BOTOX® to get into the right muscles faster. You also should not rub the area injected. You can lie down and you can exercise if you feel like it (although we recommend taking it easy for a few hours). Does the BOTOX® take effect right away and how long does it last? No, you will usually start to feel the relaxation of the muscles injected with BOTOX® the next day or the day after. BOTOX® takes about a week to be maximally effective in most people. The effects last about 3 to 4 months. Some people who get regular BOTOX® injections notice that they need smaller doses of BOTOX® and that their BOTOX® starts to last longer – up to 6 months. Do my wrinkles get worse if I stop doing BOTOX®? Absolutely not. After BOTOX® wears off, your face looks like it did before BOTOX®. There is no loosening of the skin, no sagging due to BOTOX®. Using BOTOX® for a prolonged period of time does not cause sagging of the face due to atrophied muscles. On the contrary, prolonged use of BOTOX® over several years is very common and actually results in visible softening of the wrinkles, even after the BOTOX® has worn off. Whether this is due to a weakening of the muscles that cause the wrinkles or your body reprogramming itself to not make certain facial expressions when you want to communicate an emotion is unclear.